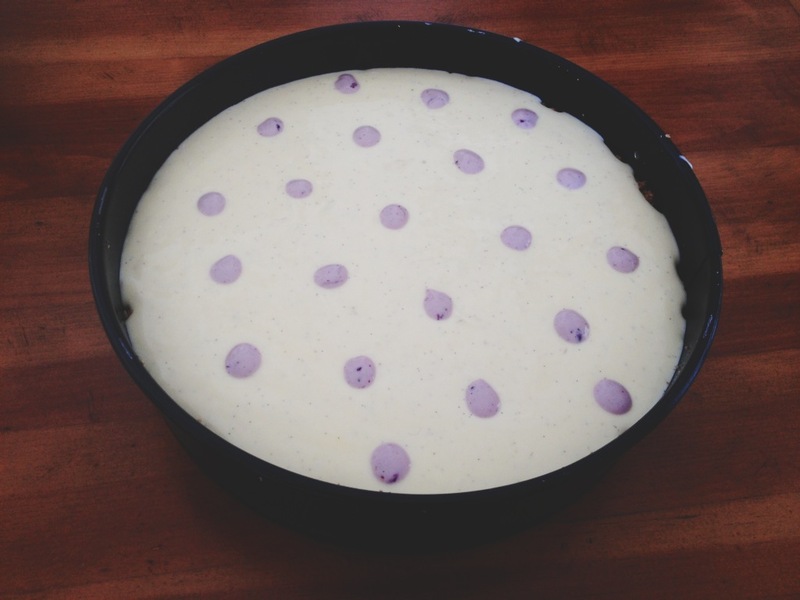 Once upon a time, the discussion topic between Andy and I, was cheesecake. 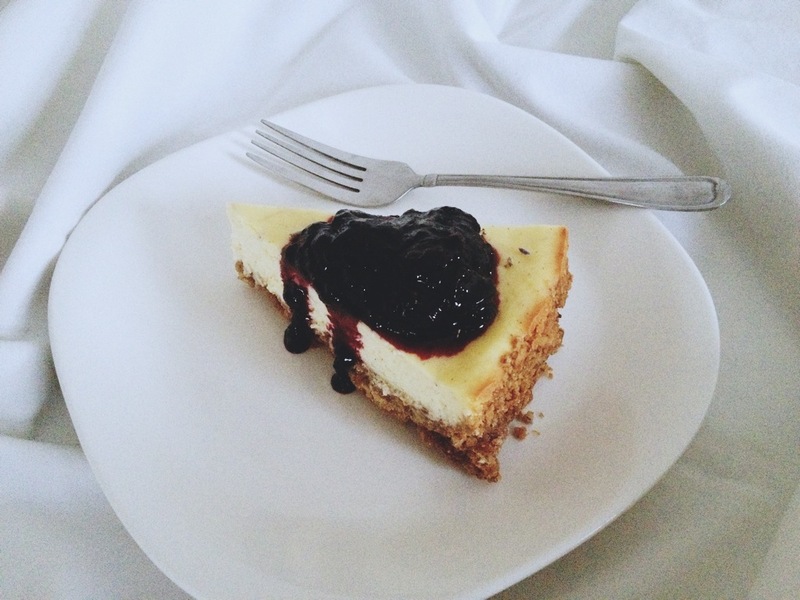 He informed me that the reason he’s not a big fan, was due to the common ratio between crust and cheesecake. It seemed odd to him that it was composed of a tall thick pan of cheesey baked goodness, and then an itty-bitty layer of crust on the bottom, so thin it almost seemed non-existent. My little mind wheels started turning. 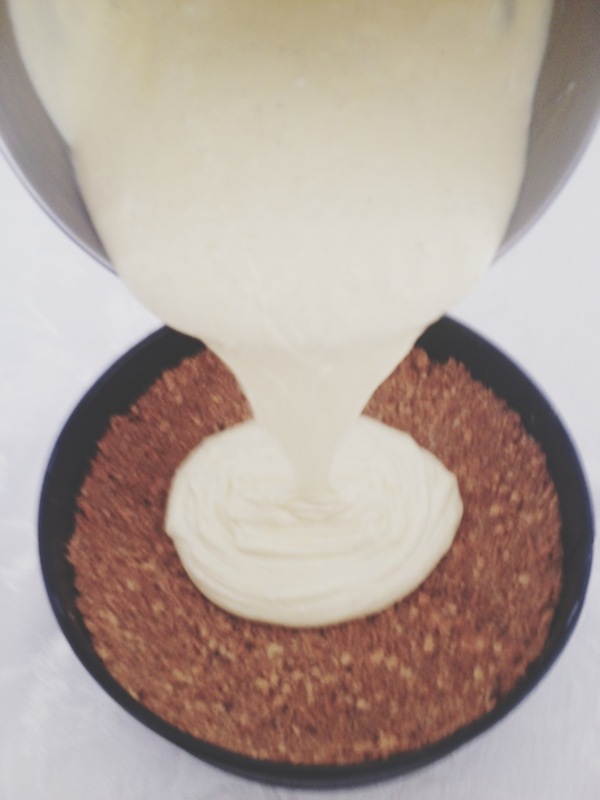 What if I create a cheesecake with an extra extra thick crust to match the portions of towering cakebatter? At that instant, there was an applause in my head. It was a beautiful moment. We shared this epiphany with two good friends, Kortnee and Sean, last summer. A few weeks later when I finally made my very first cheesecake, they received a text like this. Actually I don’t remember how the texting convo went. But it was along these lines. Nevertheless…success! My first cheesecake had great reviews from these two…and Andy. Thanks guys. 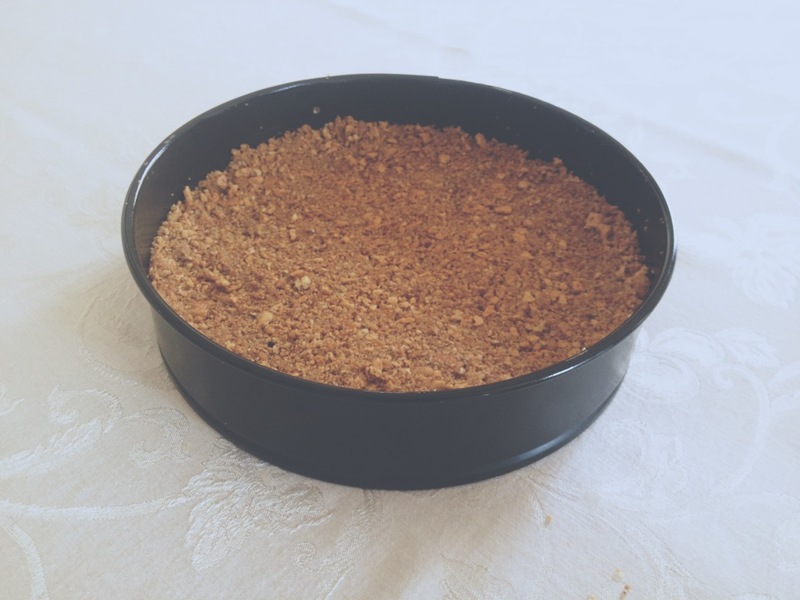 A few days ago this remarkable, dexterous, attractive couple (newly engaged, might I add) prompted me to re-introduce this unreasonably-thick-crusted cheesecake on my Tiny Kitchen. 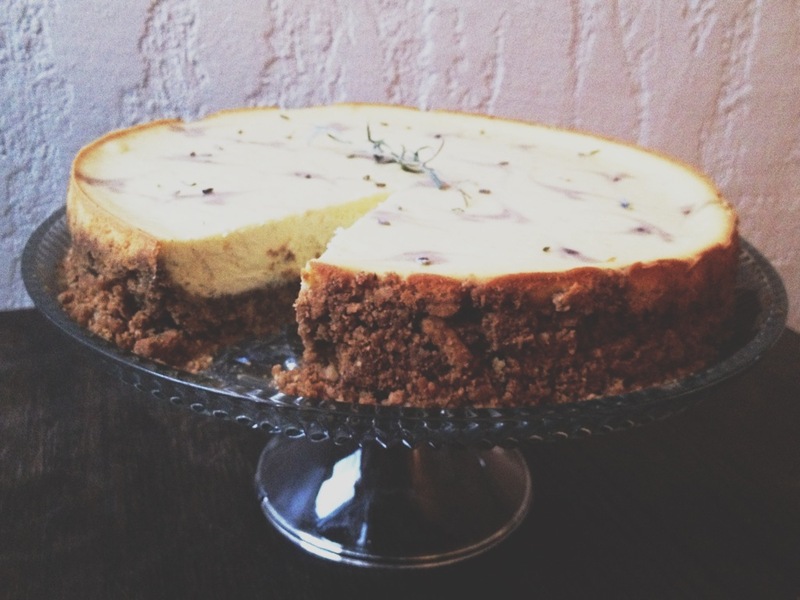 Then Kortnee, the crackerjack mastermind that she is, proposed… Lavender Cheesecake. After some preparation and a grocery run, I took my Tiny Kitchen experiment to my Mama’s house for the day. I have an announcement. The decadence of this dessert did not deserve any substitutions for healthy ventures – it is a rich, authentic, creamy dessert, not for the faint at heart. Ok here we go, this is a fun one! Give yourself time. The enjoyment of baking is in the slow step by steps. Preheat oven to 350. 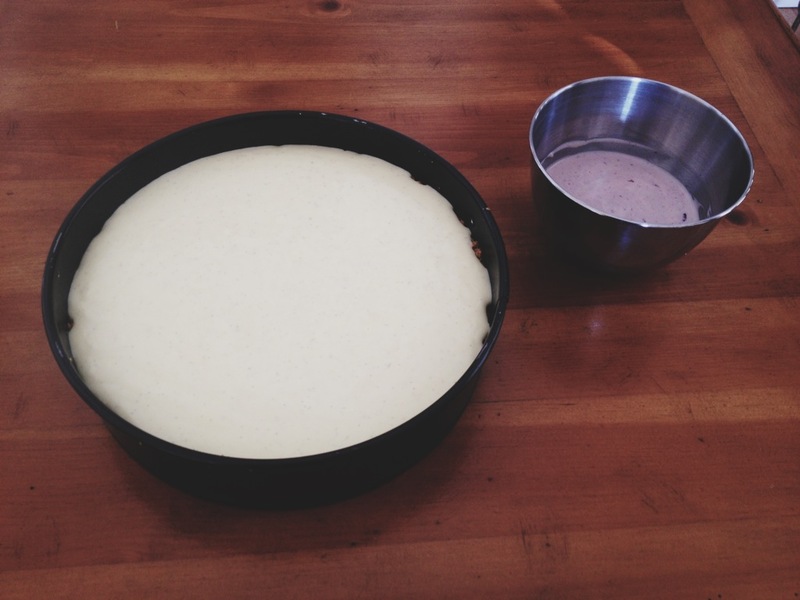 Set aside a lightly greased cheesecake pan. 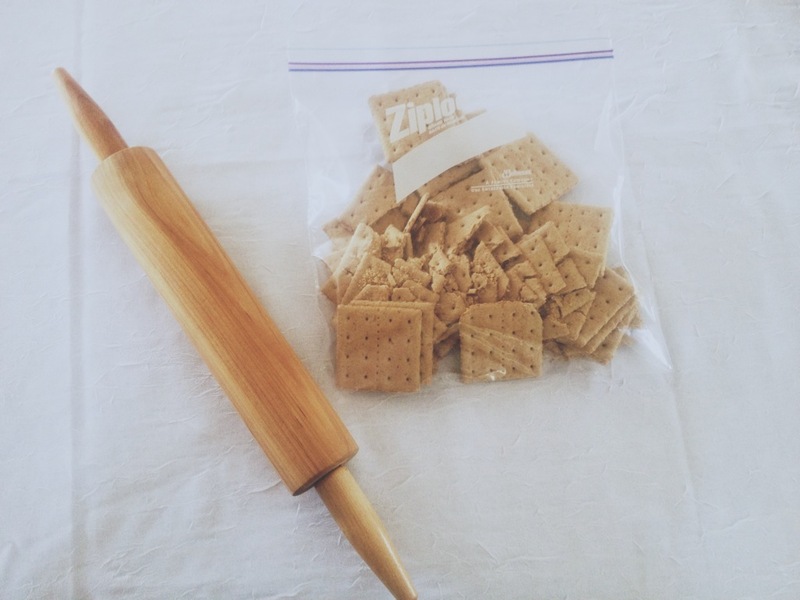 In a ziplock, crush graham crackers with a rolling pin. 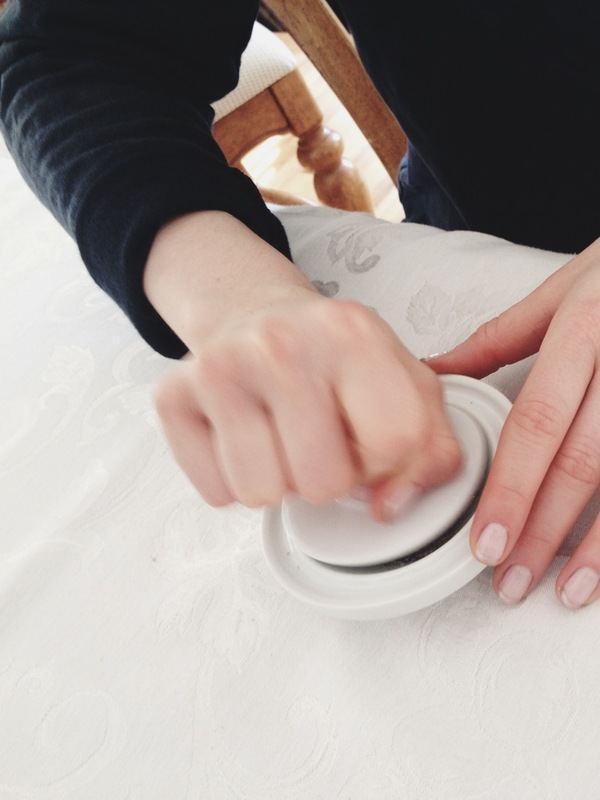 OR if you’re fancy, just use a food processor. But I’m warning you it’s not as fun. Then add your cinnamon and mix it together. 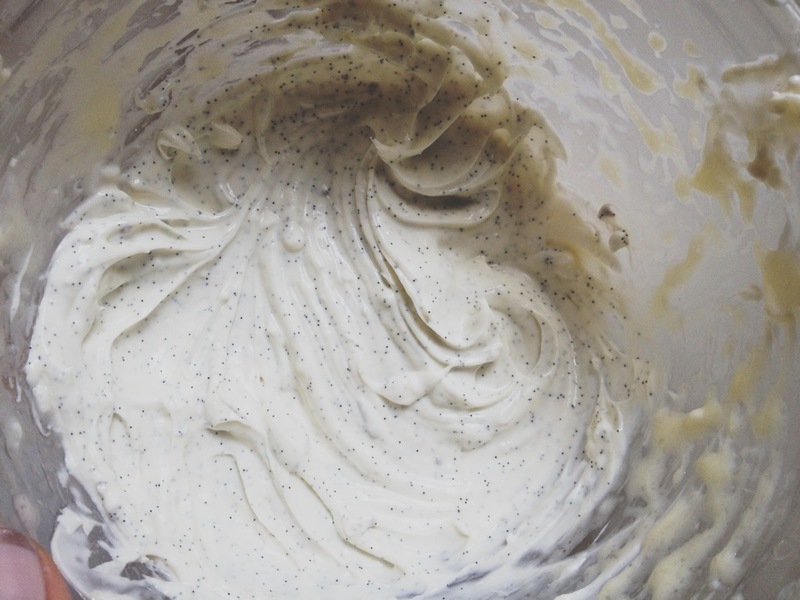 Melt butter separately and add vanilla paste (if you dont have it, use vanilla extract!). 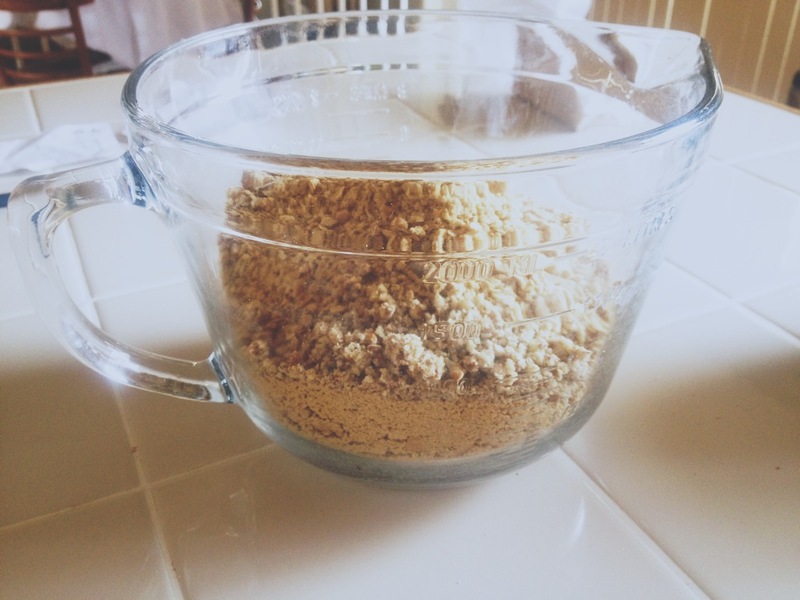 Pour that butter over the dry grahams and mix it in real good. Alright, press it all into your pan, with more crust heighth on the edges. Beat cream cheese, til you get rid of chunks. Add sugar and greek yogurt. 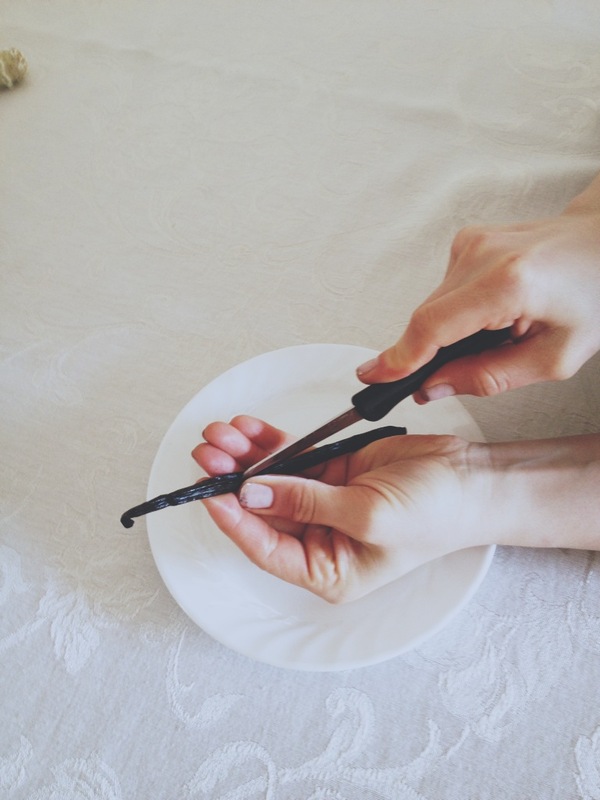 Cut open vanilla bean like so. 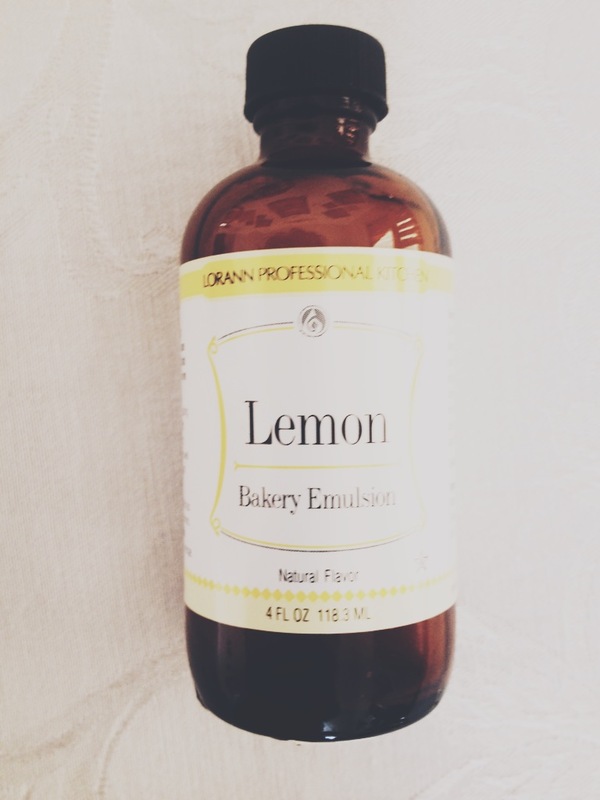 Add to the cream, along with lemon emulsion, plus your lemon juice. 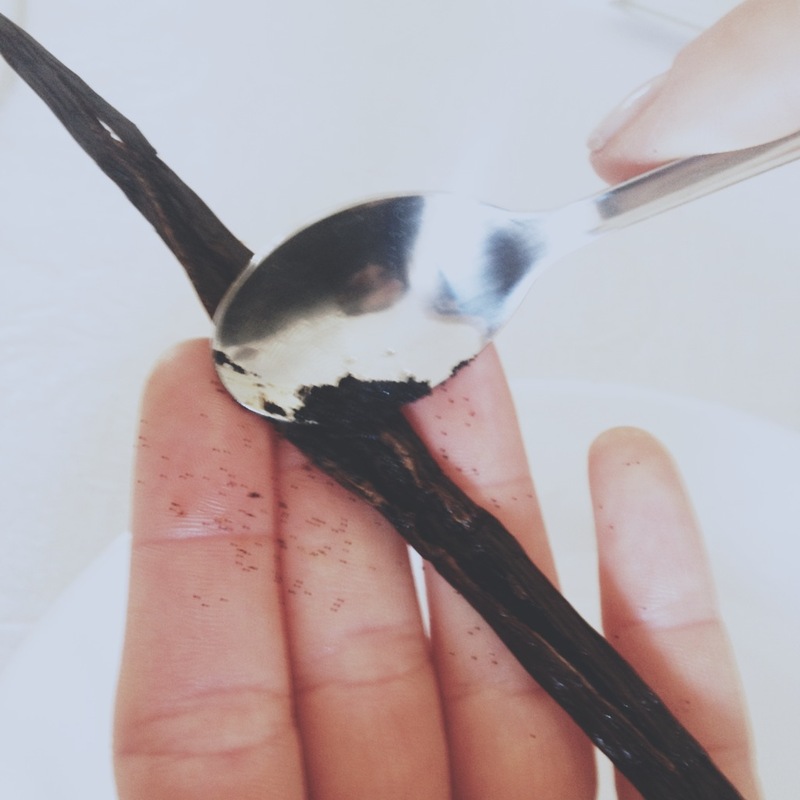 Look how the vanilla is perty. Then, add eggs, and beat all together. Important!..don’t over-beat it. 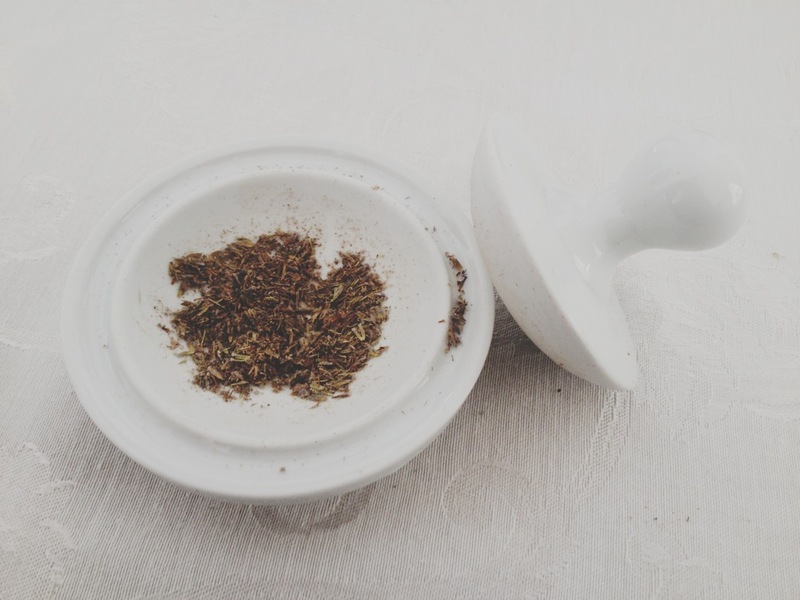 Add your crushed lavender. This is how I crushed mine. It was hard labor. And it smelled fantastic. With that ½ cup cream, add pureed blueberries (the juice) – as much as you want until you get a nice lavender color. I used about 2ish TBSP blue puree. With this purpley shtuff, decorate how you wish. This is how I wished. 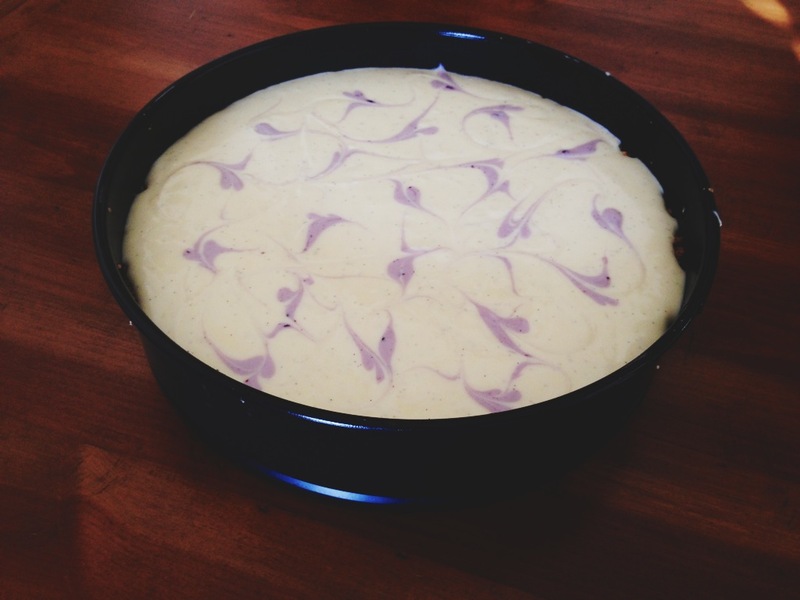 You can put dots of purple batter and swirl it around with a toothpick. 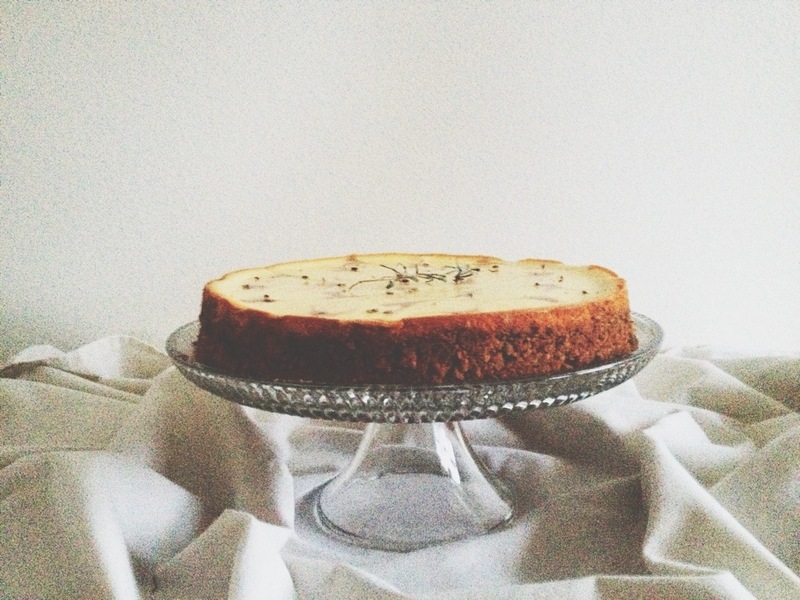 The possibilities of lavender magnificence are endless, really. 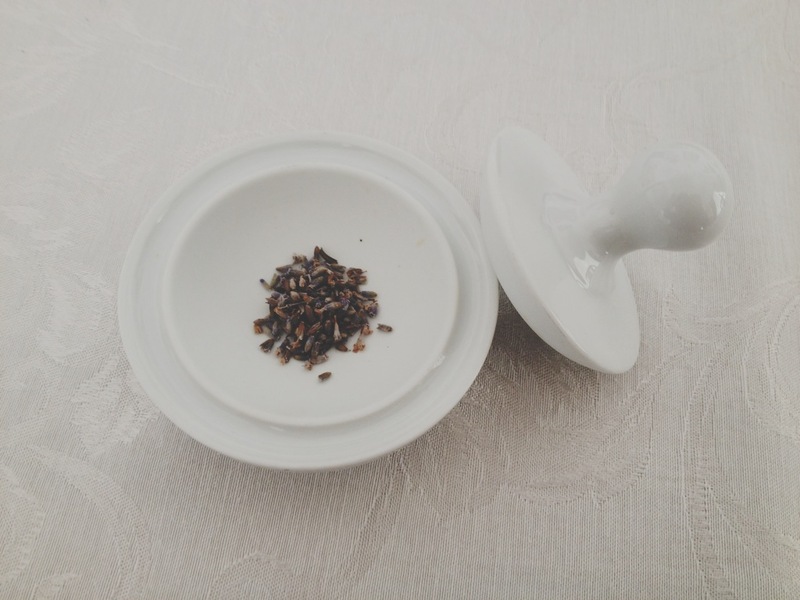 Toss some dried lavender on top. If you so desire, on the stove, cook some blueberries with sugar until it boils. Then simmer and add lemon juice and vanilla. No measurements here. Just do it, you’ll be proud of yourself. I bestow to you, my un-measurable habits. 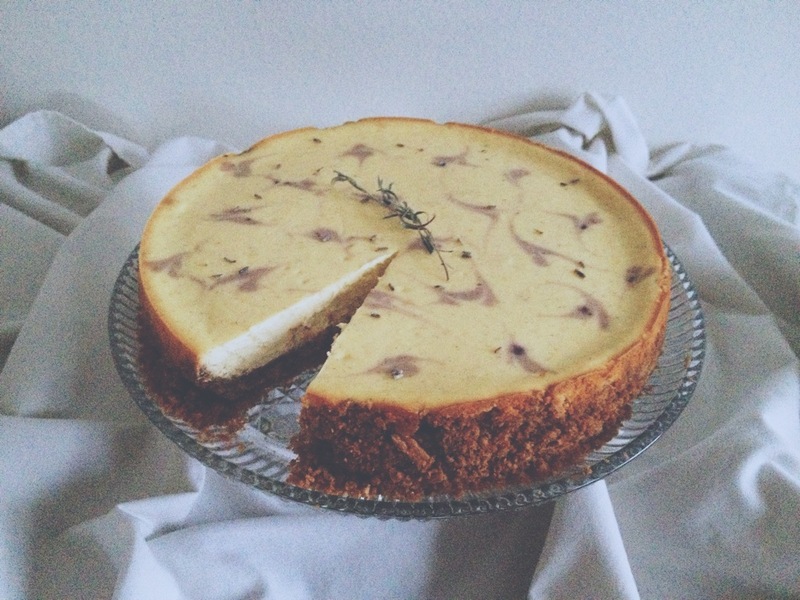 May I present to you, Lavender Lemon Triple Crust Cheesecake with Vanilla Bean. Seeing as my creation today was inspired solely by Kortnee and Sean, I’d like to dedicate this cake to them. May you enjoy every bite. Because it is yours. To have and to hold. Text me what time I can deliver it to you today! P.S. 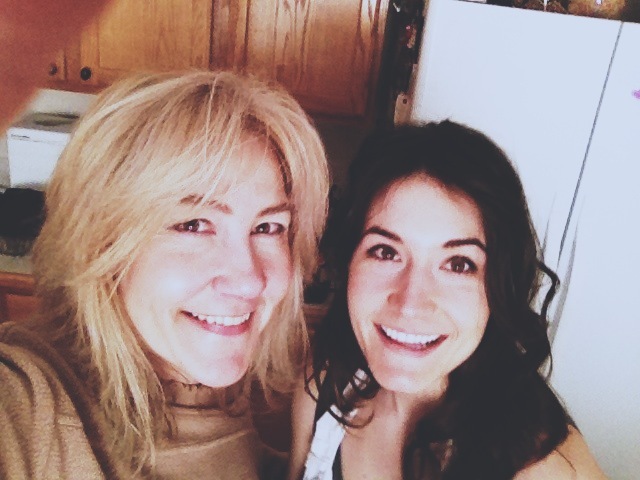 shout out to my Mama for letting me crash her kitchen! 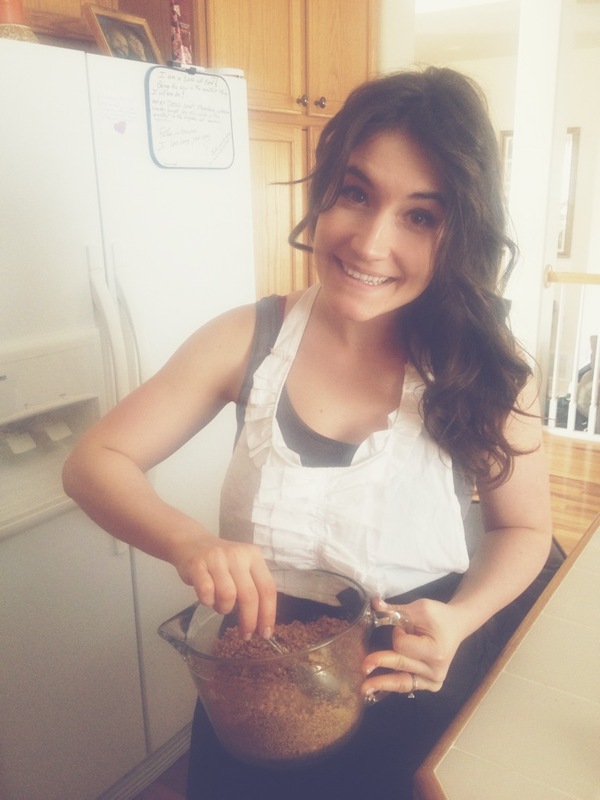 Why you culinary cutie pie!!! Time to enter a contest!!! !